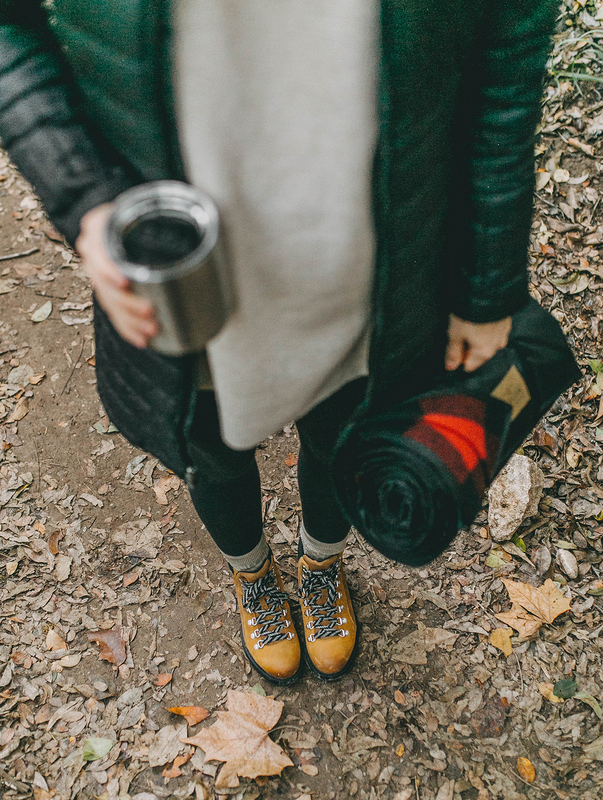 Crisp air, colorful leaves, hot chocolate in hand and the coziest outfit…my idea of the perfect weekend hike! Last Sunday Blake and I snuck away from the pups and enjoyed a hike through our old stomping grounds – the Greenbelt. Before buying a house, our old apartment balcony overlooked the Austin Greenbelt and it was nothing but vast trees as far as the eye could see! While we reminisced about our days living in central Austin, before we had dogs, a house note or a baby on the way (…ohh the days of zero responsibility ha! ), we trekked along the beautiful Barton Creek and stopped for some photos as the sun was setting. 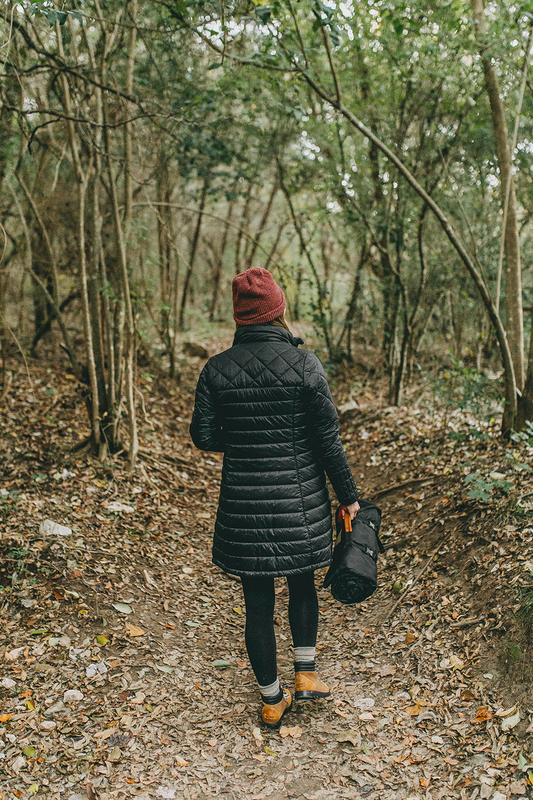 I know I talk a lot about the importance of getting outdoors on my blog and IG, but I really do believe fresh air and nature can cure a lot things, namely stress and anxiety. 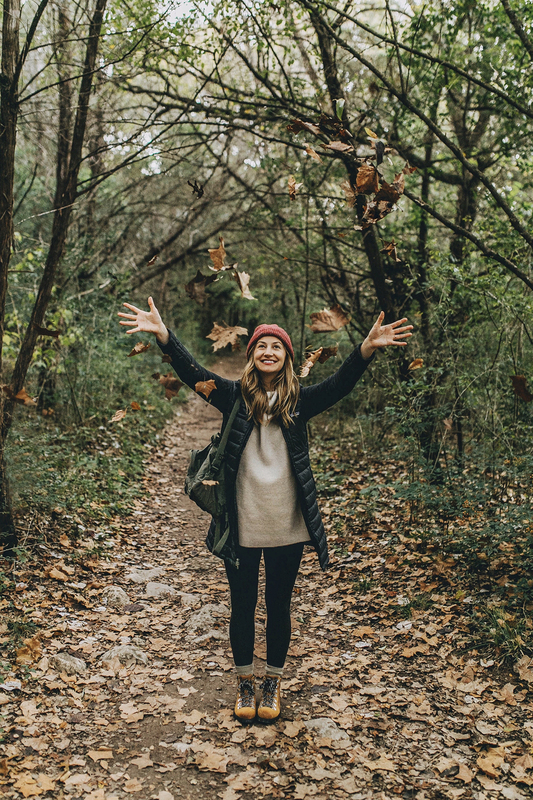 When the world seems really heavy, sometimes the best remedy is a peaceful walk amongst the trees, the sound of a nearby stream and the crinkling of leaves beneath your feet. 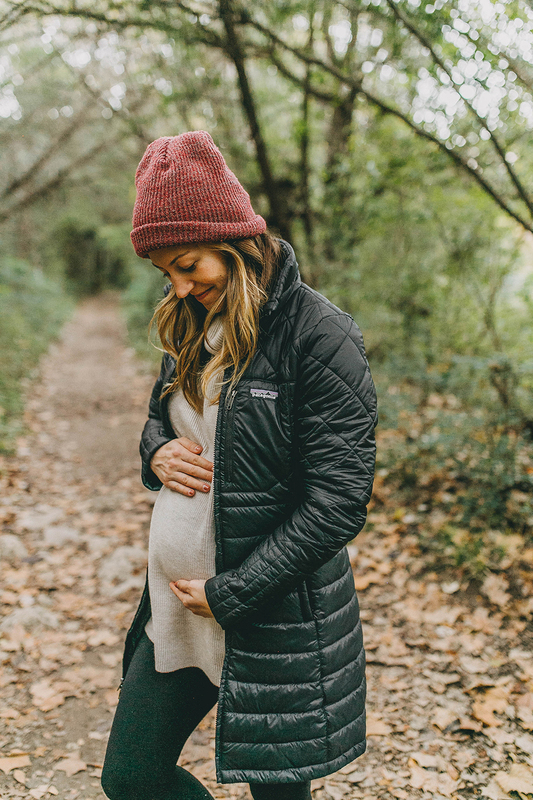 As we inch closer to February (…our little guy is due February 12th), Blake and I have been doing a lot of talking about how we want to incorporate nature and the outdoors once we start a family. 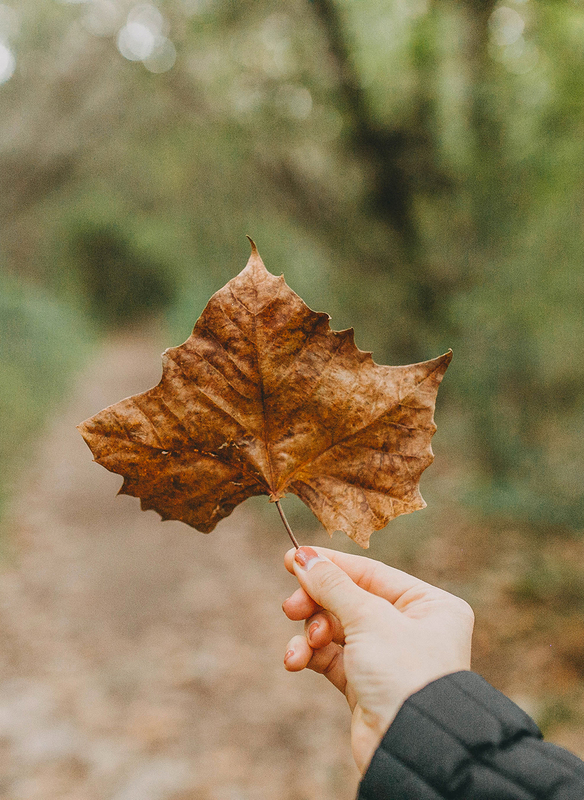 Both of us have childhood memories spent mostly outside (playing in community parks, swimming in local creeks…basically getting our hands dirty at all times haha) and something we really want to instill in our kiddos is an appreciation for the outdoors. 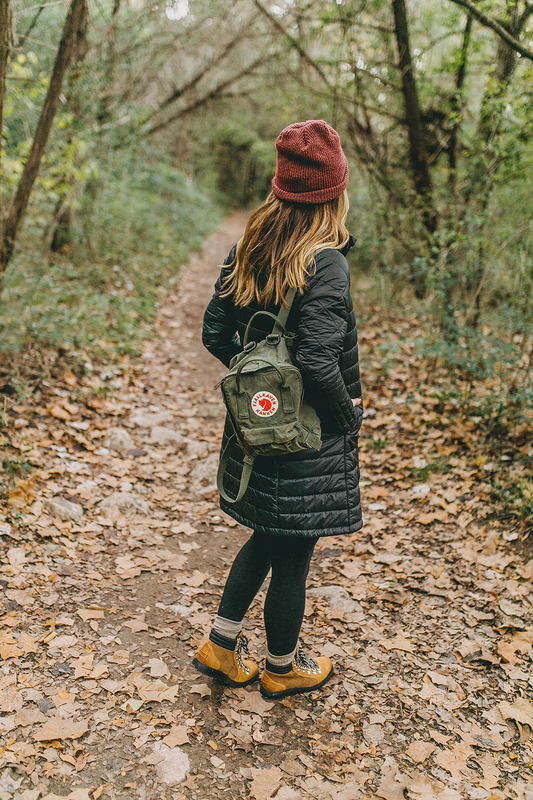 Let’s just say “family hiking/camping trip” is on our big wish list as we go from two to three (…or rather, four to five if you count Watson & Lu, ha!). 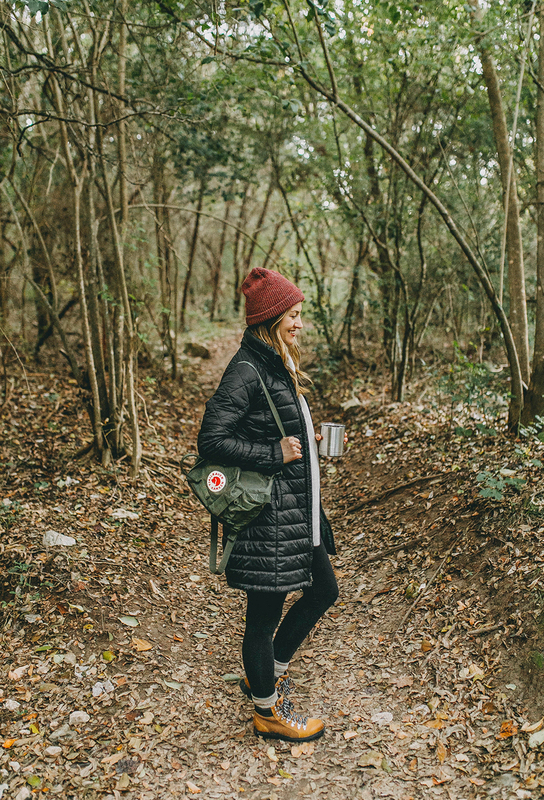 When it comes to brands that fit both an everyday and outdoorsy lifestyle, Backcountry is my favorite. 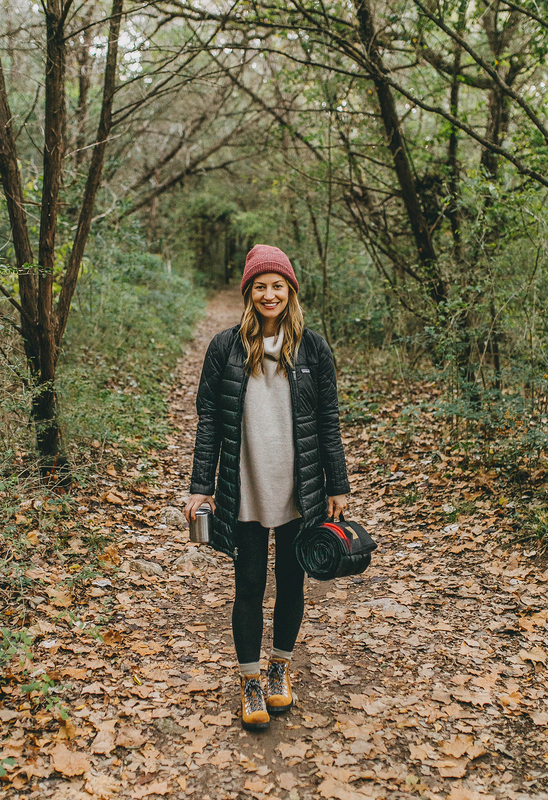 While they specialize in outdoor gear (hiking, yoga, travel, camping – you name it, they’ve got it), I love that they carry brands I’ll wear on errands around town, as well as on a leisurely hike with my husband. 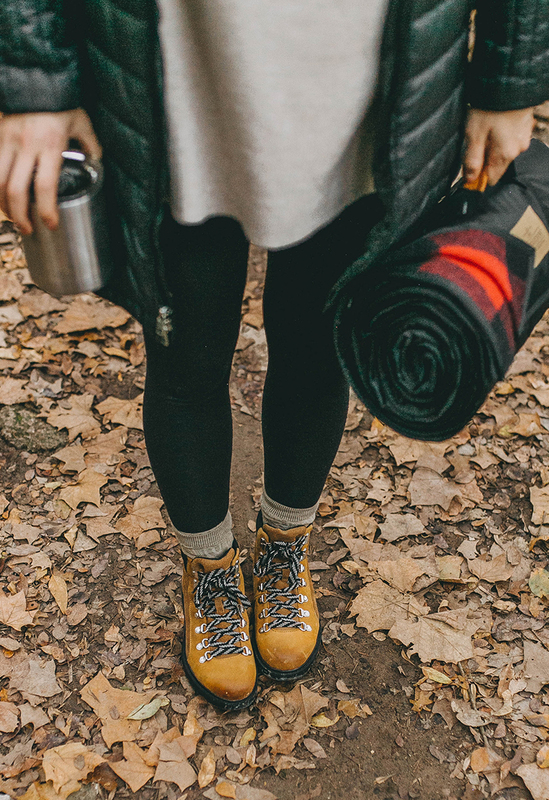 As we inch from fall to winter, layers are extra important! My sweater is by Free People and it’s sooo soft and cozy…and also fits beautifully over my bump (…hard to find in the non-maternity sections these days, ha!). 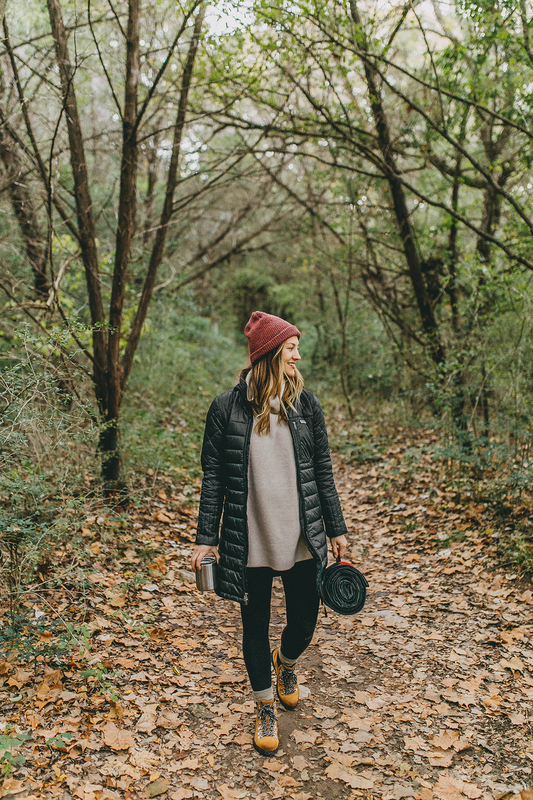 My jacket is a favorite of mine, it’s the Patagonia Radalie Parka and I got this one last year for my trip to Iceland and it’s proven to be a really awesome investment – I wear it all the time during the colder months! I own a size XS, but honestly, wish I would have sized up to a small so I could layer thicker pieces underneath it (…and still be able to zip it up). It was pretty snug prior to pregnancy, and as you can see, at six months preggo this thing ain’t about to zip, ha! 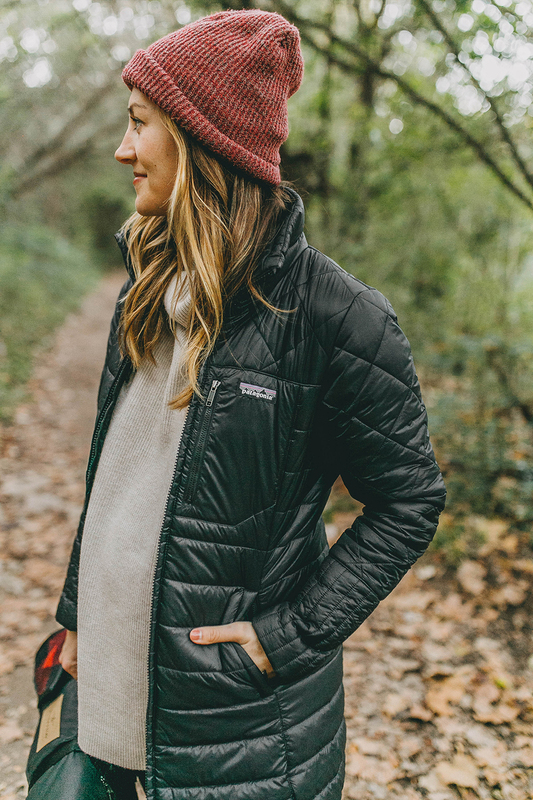 If you live somewhere colder (aka, not a Texas winter), or are headed on a cold weather trip, I’d recommend getting the Patagonia Fiona Parka instead…it’s got a thicker layer of insulation and worth the extra money, in my opinion! I was a little too cold in Iceland with the Radalie as my warmest layer – but it’s perfectly suitable for an Austin winter. I scooped up those beautiful Sorel Ainsley Booties this month and ohh my goodness they are HEAVEN! Extremely comfortable and the color is so rich and gorgeous (they also come in black). I ordered a half size up and they fit perfectly. Can’t recommend these enough…they’re weatherproof and super warm, too. Such a huge fan of Sorel! 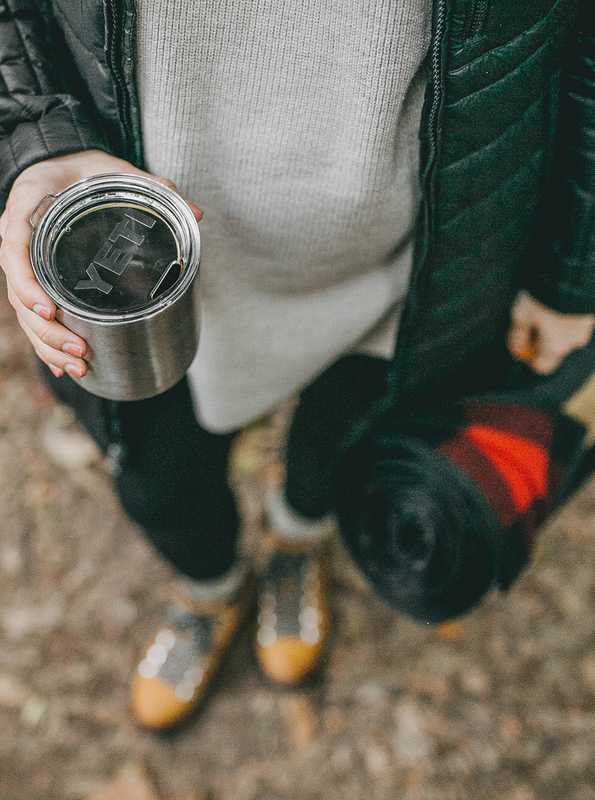 That tumbler holding my hot chocolate is by YETI (called the “Rambler Lowball“) and Blake and I are obsessed with these little guys…we have about 10 in our kitchen cabinet! They keep your drinks either extra hot or super cold…also love that they have lids, too…makes them perfect for coffee on the go. YETI is from Austin, so we carry these tumblers with pride around here! Lastly, that adorable plaid Pendleton Roll-Up Blanket is AWESOME! 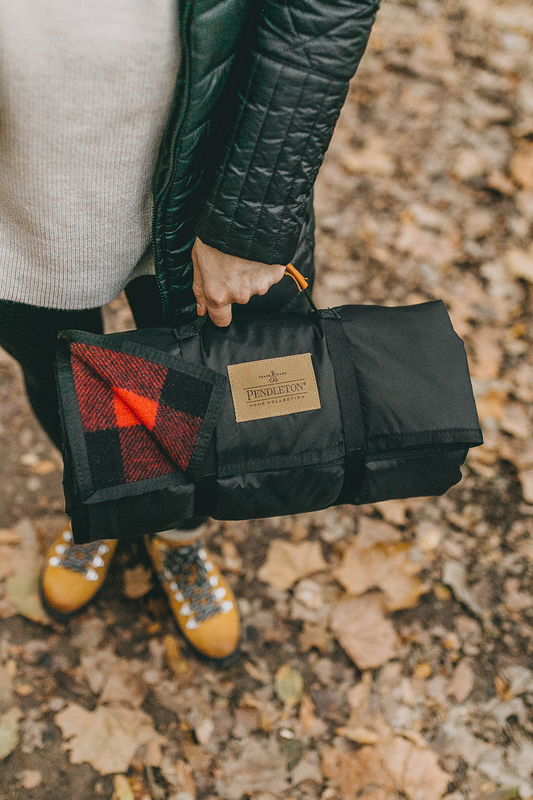 My sister (she has two kiddos) was just telling me how I should invest in a good outdoor blanket for park days, and this one is not only very functional, but so darn cute in that fun plaid print. Pendleton is a brand that’s been on my radar for a while…love their effortlessly cool vibe and high quality products, it’s pieces you’ll have around for life! I love that you guys are already planning ti incorporate the outdoors into your lives when your little comes along. My nephew, who’s now four, loves the outdoors because his dad is a big hiker. He’s even gone camping with his dad. 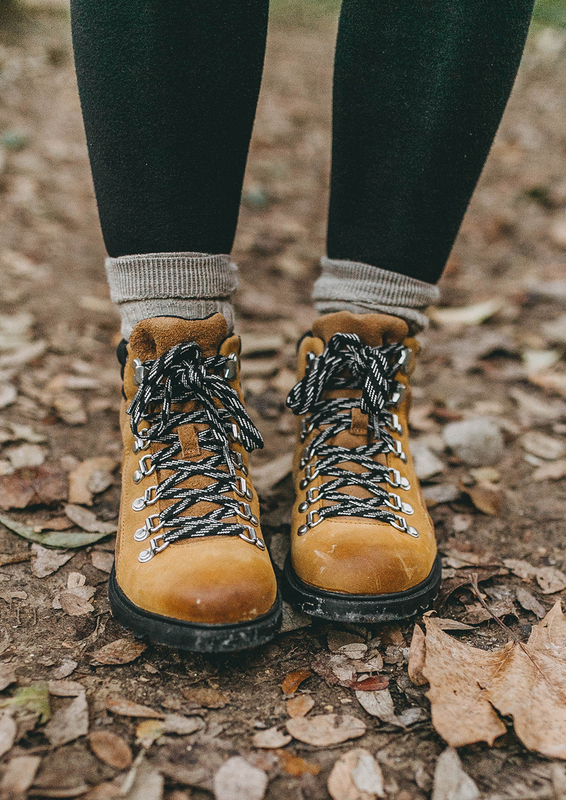 I wear a similar outfit when I hike in this weather, but I’m in need of some new boots. Mine are just ugly, ha!